A rendering of the proposed Port Disney complex. Rendering courtesy of the Walt Disney Company. Back in July of 1990, the Walt Disney Company’s theme park division printed a one-time publication, dubbed Port Disney News, that was distributed to Long Beach residents only. The hopes for the publication? 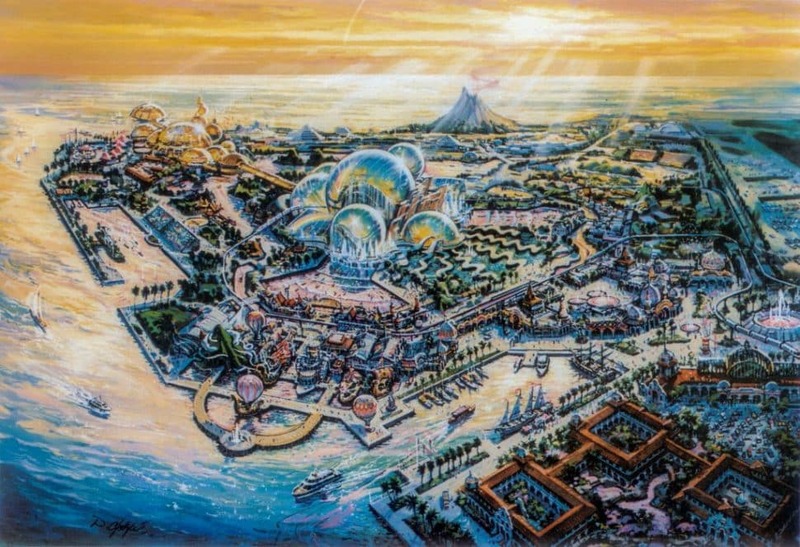 That Long Beach denizens would support the vision Disney Imagineers had planned for the at-the-time dilapidated harbor: A full-scale, $2.8 billion Disney complex dubbed Port Disney and an aquatically themed park called DisneySea with a Jules Verne-inspired center. According to historian Michael Crawford, the Port Disney project began in 1988 when the Walt Disney Company finally secured ownership of its famed Disneyland Hotel in Anaheim after a decades-long battle with its original owner, Jack Wrather (who built the hotel for Walt himself when Walt had no more money to further invest into the theme park when it opened in 1955). For millions of Southern California residents and visitors, this fantastic voyage may become a reality based on the conceptual master plan for one of the most innovative theme parks ever conceived by the Walt Disney Company. According to its designers, the goal of DisneySea is to enable everyone to experience the marvels of nature’s secret world beneath the sea and to gain first-hand experience of how the oceans affect human life as well as the life of the planet. Walt Disney Imagineering, the creative, design, production and project management subsidiary of the Walt Disney Company responsible for the creation of Disney theme parks and attractions, has been charged to develop DisneySea. Its vision for Long Beach is a singular blend of entertainment and education through Disney-style rides and attractions, marine research facilities, an oceanarium and other aquatic adventures. A rendering of the festivities and views inside the proposed Port Disney complex. Rendering courtesy of the Walt Disney Company. At its center, Disney was attempting to lure people not only through its thematic entertainment but through marine life research efforts that are largely the responsibility and mission of the current Aquarium of the Pacific—and by doing so through taking over a huge portion of the coast just west of Pier J of the Port of Long Beach. It’s centerpiece? 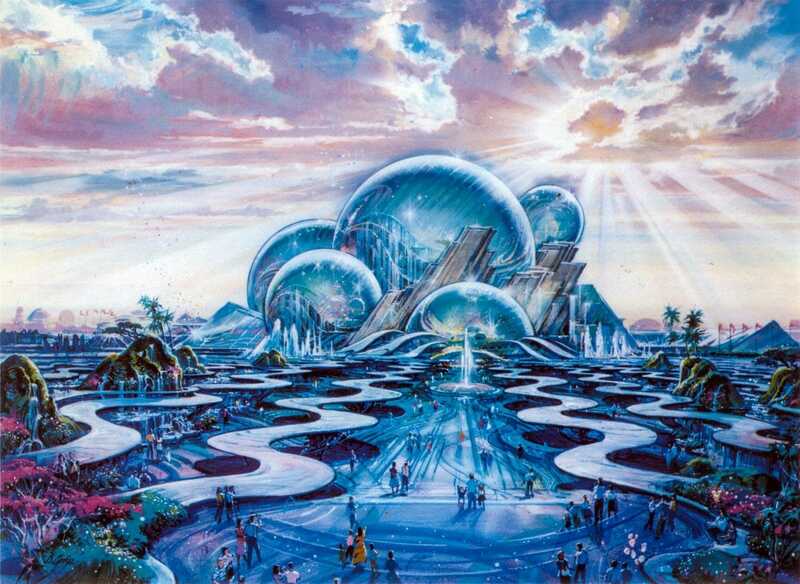 An “oceanarium” that served as a dual education and entertainment complex, made of giant, reflective orbs (that, as is the tradition with Disney Imagineers, topographically looked like a Mickey head). Guests would have been able to “experience true-to-life recreations of marine habitats and ecological systems” while being able to “touch, smell, feel and hear the world of water” through various Disney-ed out tricks: overhead walkways and underwater portholes that would “provide both bird’s-eye and crab’s-eye views” of the world of the ocean, goggles that kids could wear to see what it is like to see as a fish or lobster, along with learning about reef systems and environmentalism. Guests will be able to visit the heart of this functioning sea laboratory, observing scientists at work. Watching these experts, visitors can glimpse the future of man’s involvement with the seas and probe deeper into man’s relationship with the environment. For the more light-hearted adventurers, the Center will include a simulator adventure that will give guests a glimpse of the drama—and danger—faced by real explorers of the deep. 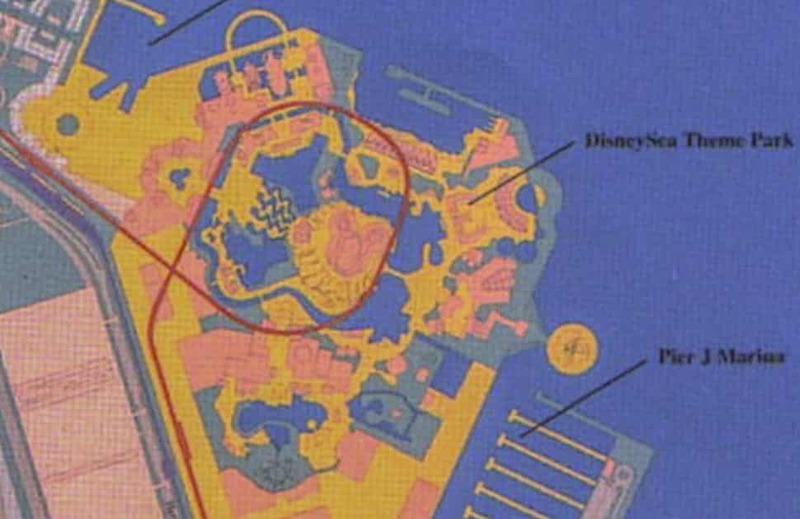 In fact, research and education were the first things touted in Port Disney News. Port Disney was set to have a full-fledged research center called The Future, where marine scientists from around the nation would be invited to conduct oceanographic research on Disney’s bill. (An advisory board was even attempted to be created in order to oversee the mission of the center.) On top of that, proposed partnerships with L.A. and Orange County schools were set to assure that the work of teachers extended beyond the classroom. This was particularly highlighted in their proposed Ocean Outreach Center, which would have been one of the most impressive libraries dedicated to all-things-of-the-ocean in the world, with computers, reading rooms, research files, and full access to ocean-centric literature for everyone from guests to scientists. 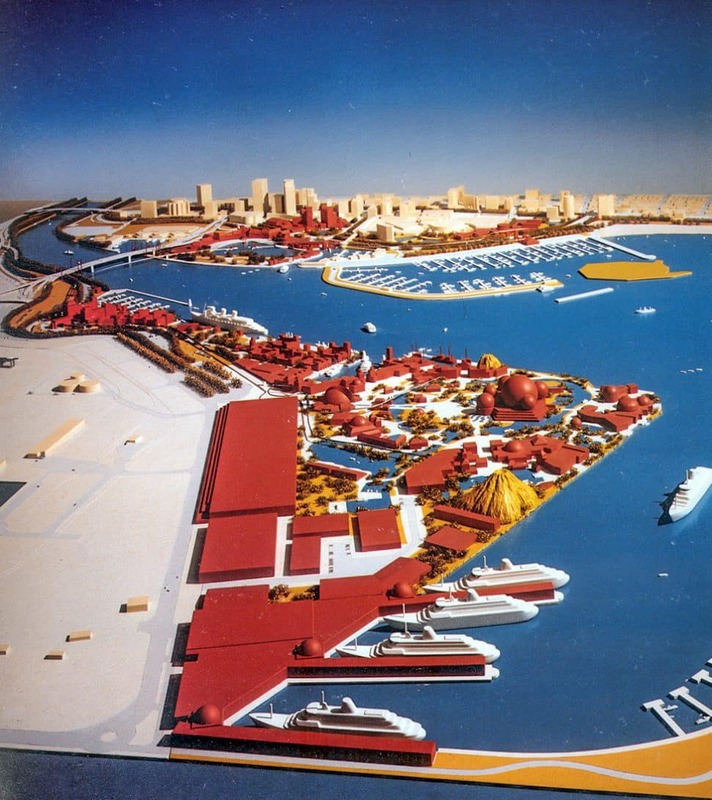 The rendering to the right, part of the information distributed to Long Beach citizens, shows the scale of the park along with where the monorail (the red line in the photo above) would loop. 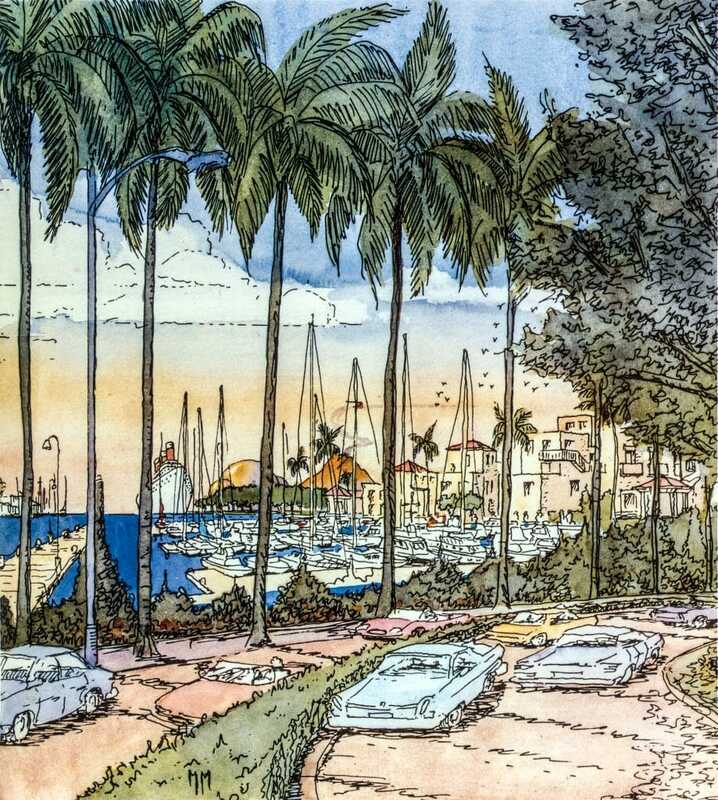 Yup: Downtown would have had a monorail racing across its coastline that connected to one of five hotels that was being proposed for the project. Mysterious Island and Hero’s Harbor would feature “high seas” thrill rides incorporating thousands of years of mythic folklore relating to the ocean. At Mysterious Island, guests would discover the lost City of Atlantis on a modern version of a Disneyland “E” Ticket. Children could follow clues to buried treasure on Pirate Island, while the more intrepid might dare to board Nemo’s Lava Cruiser and careen suspended through dangerous caverns. Aqua-labyrinth, a challenging maze with walls made only of water, would serve as the entrance to Heroes’ Harbor, where the myths and the legends of teh sea come to life. Here guests would find rides themed to the adventures of Sinbad, Ulysses and other storied adventurers from the past. Fleets of Fantasy, adventurous attractions, themed to storybook seafaring, would recapture the spirit and whimsey of turn-of-the-century amusement park rides. At the rim of the American continent and the Pacific Ocean, DisneySea will offer a unique entertainment experience—and a site of magic and wonder. Port Disney’s hotel plans were just as ambitious. On the city-side of the project were three hotels alone in the proposal: The Tidelands Hotel, a five-star, 900-room hotel on a 14.3 acre lot that is currently home to The Pike Outlets; the Shoreline Hotel would be a 25-acre space with a 400-room hotel, retail, and entertainment center where the Aquarium currently sits; and the 400-room Marina Hotel Set on a 20-acre lot east of the Convention Center, where the surface parking lot on Shoreline Drive currently resides. Port-side, the Canal Hotel, designed to mimic Long Beach’s famed Virginia Hotel of the past, was a 1,400-room behemoth with 2,300 parking spaces and 150 guest dock slips. Then there was the 500-room Port Hotel. As for the Queen Mary, which had already been converted to a hotel when Disney overtook the lease in 1988, it would be part of DisneySea’s World Port complex, which would act as the doorstep to DisneySea. Cross-channel and excursion ferries were planned to have departed regularly to and from Avalon, Newport Beach, Dana Point, Redondo Beach, and Marina del Rey. A topographical computer rendering that shows the varying heights of the proposed project. Rendering courtesy of the Walt Disney Company. Those blunders include a “petulant speech,” according to Crawford, given by Disney’s CEO Michael Eisner to the World Affairs Council of Orange County in November of 1992, where he blamed the state’s business environment and environmental obstacles for sinking the park. Ultimately, it seemed like Disney was trying to out-Disney itself with DisneySea—and in the end, its demise was money. 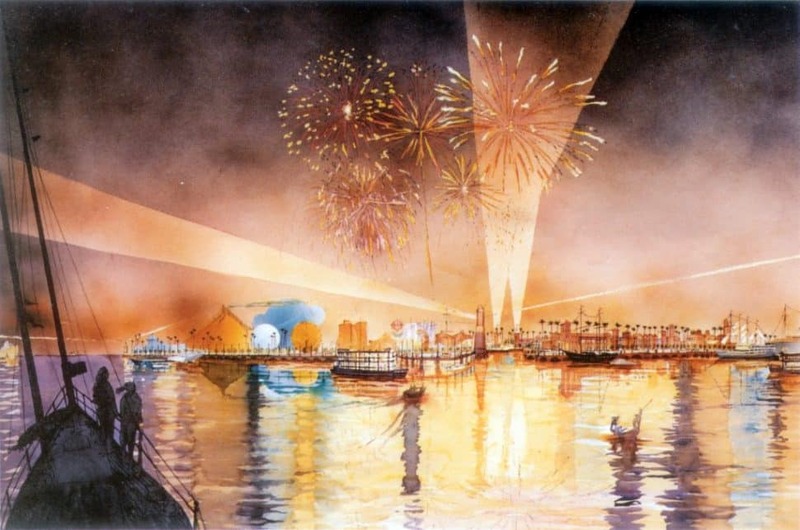 While in Anaheim, Disney-led projects are approved solely through its city council, Long Beach proved a difficult beast to tame both politically and financially since local, state, and federal approvals were all required. This article was originally published on May 15, 2017.